Mr. Charles Michael Eidson, Sr., age 62 of Griffin, passed away on Thursday, April 4, 2019 at Grady Memorial Hospital. Mr. Eidson was born on July 14, 1956 in Atlanta, Georgia. He is preceded in death by his parents, Charles H. Eidson and Doris Ann Williams Eidson. He was a member of Rock Springs Church. Survivors include his wife, Kim Bell Eidson; sons, Charles Michael Eidson, Jr. and wife Allison, David Eidson and wife Elizabeth, Brad Eidson and wife Stephanie, Brian Eidson and wife Ashleigh; step-sons, Levi Hill and fiance’ Kasey, Nolan Hill and wife Melissa; grandchildren, Austin, Eli, Eric, McKayla, Ethan, Jordan, Baylee, Wyatt and Regan Eidson; step-grandchildren, Zack and Jacob Hill; sisters, Debbie Childres, Patti Frachiseur; brother, Steve Eidson; several nieces and nephews. A visitation for Mr. Charles M. Eidson, Sr., will be Sunday, April 7, 2019 from 5:00 pm until 8:00 pm at Conner-Westbury Funeral Home. 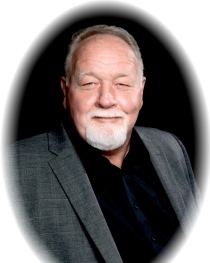 A funeral service will be Monday, April 8, 2019 at 11:00 am at Rock Springs Church. Dr. Benny Tate will officiate.